It's time for Sunday Supper, but first: I have a confession. I've mentioned it in passing before, but I'm laying it all out on the table today. I love "Gilmore Girls". I'm a SUPER fan. The show has been off-air for longer than it was on, and I act like it's a fresh new episode every time I watch it. The way I fangirl over Gilmore Girls is the same way some adults do over Disney. Or Walking Dead. Or Game of Thrones. I make all of my major life decisions based on WWLGD (What Would Lorelei Gilmore Do), similar to how Lorelai employed WWTBFCD (What Would The Barefoot Contessa Do), even though we know 'barefoot' is one word. The show parallels my life at every turn. From Stars Hollow High to Chilton to Yale, I was there. From Dean to Jess to Dean again and Logan. Yup, that's my life. Probation for stealing a boat? Mmm hmm. I watch "Gilmore Girls" every day. And I do mean EVERY. DAY. When the power was out at my house during a snow storm, I convinced the bartender at a bar to change the channel from Sportscenter to ABC Family. I know what happens. I know every line, every beat, every nuance and characterization of each character and it's sickening. It's like I have a disease. I've pulled my friends into my web by regaling them "Gilmore Girls" story lines as examples of the real-life situations we find ourselves. I can guarantee that I've sabotaged dates because I can't keep my awkward obsession a secret long enough to get past drinks. Not unlike the awkward date Rory went on in season 5 with her classmate. I mean, who calls their mom while on a date? Rory. Yup. Me. Yup. That's happened. I've also sucked my mother into my "Gilmore Girls" black hole. My beautiful, intelligent, no-nonsense mother. You see, I live with my mom and even though we lead separate lives, we come together at the end of the day to talk about what we've done and what we're going to do the next day. My day's recap is usually how what I did is similar to what Rory Gilmore did. I'm friggin' weird. I'm telling you all of this because my obsession has come to a fever pitch. June 7, 2015 my life will be complete. The ATX Festival is where I'll be in the same room as most of the cast of "Gilmore Girls". The first reunion since the show was cancelled in 2007. It's my pilgrimage. This is my 3am set at CBGB (see Gilmore Girls season 4, episode 11) . And I'm taking my mother with me. Only she doesn't know yet. But maybe she does now because one of you told her. 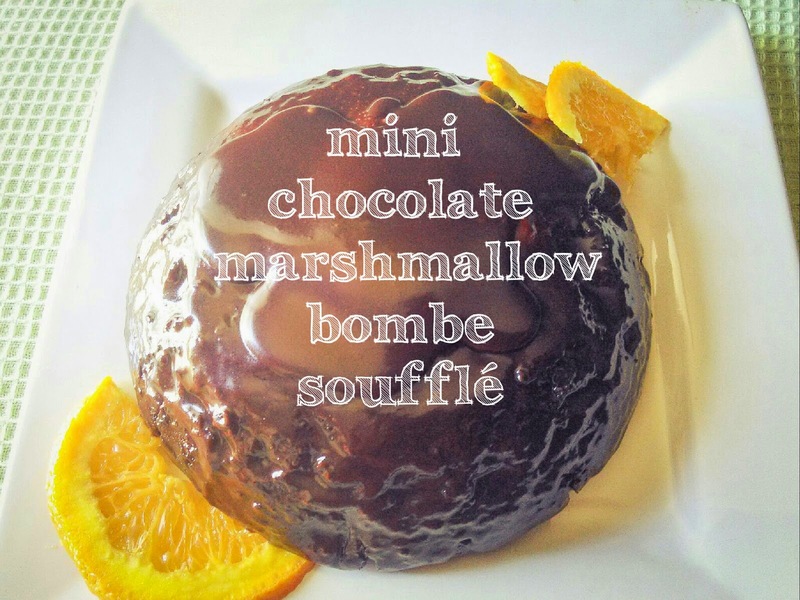 Inspired by the Valrhona Cœur de Guanaja Chocolate Soufflé at The Fearrington House Restaurant in Pittsboro, NC, I made this cake/soufflé/bombe in honor of my mom. We were watching North Carolina Weekend on PBS a few weeks ago and the soufflé came into our lives. I have no idea if this recipe is anywhere close to the original, but I really don't care. It looks good and tastes even better. 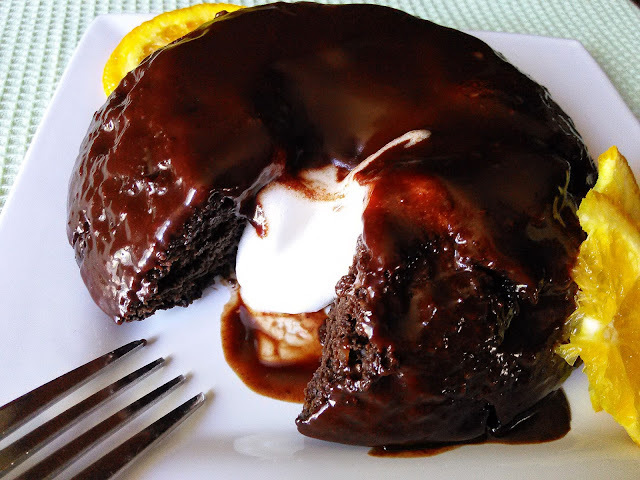 The cake is a dense, rich chocolate genoise dome filled with sweet, silky homemade marshmallow cream. The entire bombe is covered with Stout Hot Fudge. The most difficult part of this is the waiting. Make it for the special lady in your life soon. Or take her to Austin. Either way, you'll get lots of hugs and kisses. Beat egg whites, corn syrup, salt and lemon juice in a large bowl with an electric mixer on high speed until mixture is thick and doubled in volume, about 5 minutes. Reduce mixer speed to low and beat in sugar until thoroughly combined. Beat vanilla extract into creme just until incorporated. Chill in refrigerator or use a small scoop and portion the creme on a lined sheet tray and place in the freezer. Preheat the oven to 350°F. Grease the inside of 5 2-cup stainless steel bowls with nonstick cooking spray and lightly coat with flour. In the bowl of an electric mixer, whisk to combine the eggs, yolk, and sugar. Whip at medium-high speed for 3 minutes. Sift the cocoa powder and the 1 1/2 cups flour together into a medium bowl. With a rubber spatula, fold the dry ingredients into the egg mixture until no streaks remain. Fold in the milk and melted butter until just combined. Transfer the batter to the prepared stainless steel bowls, filling 1/3 of the way. Spoon 2-3 Tablespoons of marshmallow creme into the center of the batter in each ramekin. Spoon remaining batter equally over marshmallow, completely covering. Place the bowls on a baking sheet and transfer to the oven. Bake for 20 minutes and check the cake by inserting a cake tester into the center. Once the tester comes out clean, remove from the oven and immediately invert the cake onto a cooling rack. Transfer chilled Stout Fudge to a liquid measuring cup for easy pouring. Pour the glaze evenly over the bombes to coat them completely. Refrigerate until set, about 15 minutes. Let the bombes sit at room temperature for about 15 minutes before serving. This is definitely the bomb! What a treat for mom. That is so impressive, any mom would be delighted!! My daughter has seen each episode of Gilmore Girls numerous times---and so have I! 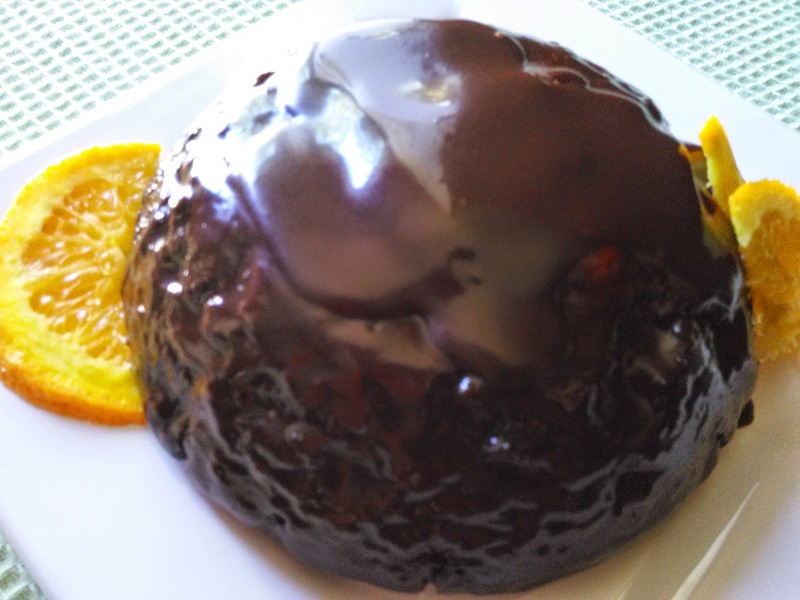 You dessert looks outrageously delicious! Perfect for Mother's Day! 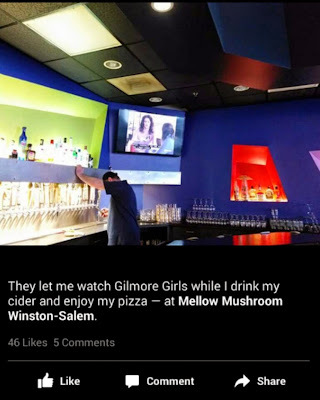 I totally need to check out Gilmore Girls. I bet I would see a lot of myself and my mom in it. I also need to make this dessert asap - amazing! This is almost too pretty to eat! Love the flavors in it too..yum! These bombes are the bomb!! Happy Mother's Day. Have fun in Austin. very fun and I love that they are mini! Oh my goodness...this looks almost too amazing to even eat. But who am I kidding?! I'd dig right in! I'm in love with the marshmallow filling!!! yum! Oh my gosh and have fun meeting the Gilmore Girls cast! so cool! Stout Hot Fudge... Sounds epic. PS. Gilmore Girls is the best!!! I have to admit that I've never watched Gilmore Girls, but now I feel as though I've been missing out! This is one amazing looking dessert. Holy smokes - this looks incredible! Oh my GOODNESS!! I just started streaming Gilmore Girls for the very first time a week ago, and I'm already OBSESSED!! I'm almost to the end of season 2 and I've gotten my entire family sucked in right along with me. I bet getting them to put away a couple of these marshmallowy cakes would be even easier. I must try them! Ummm, heck yest to this delicious little bomb! Love the chocolate & marshmallow combination! YES PLEASE! I haven't made marshmallow from scratch yet.